DreamWellHomes.com offers a variety of programs and services to you from personalized online home searches, request for estimated home values, real estate agent referrals from various real estate brokerage companies, to mortgage pre-approval applications with our preferred lenders. We collect and retain information about you only when we believe it will help us provide you with the services and products that you desire. When you sign up for our personalized home search, fill out contact forms, have a phone or email conversation with us, we may use that information to occasionally notify you about important functionality changes to our web site, updated listings that come on the market related to your search, and special offers and real estate related news and services we think you’ll find valuable. We also share your contact information including additional information from filled out contact forms, emails, online and phone conversation notes, and recorded voice messages with real estate agents, real estate brokers, and mortgage lending partners who can help answer your questions or help you with financing, buying or selling a home. When you request other information from us through our various order forms, we need to know your name, e-mail address, mailing address and telephone numbers so we can be sure to get in touch with you when and how you ask us to. For instance, when you apply for an online mortgage loan or request pre-approval through our preferred lenders, we need to know your name, e-mail address, mailing address, income, and debt and asset information. This information is necessary for the lenders to process your mortgage application and to obtain your credit report. We will not obtain your credit report without your authorization, but the lenders cannot approve you for a mortgage loan without it. We can, however, pre-qualify you for a mortgage loan without your credit report. The information we receive from you is protected against unauthorized access once we receive it. We limit access to your information to employees and/or hand-picked real estate professionals (i.e. agents, brokers, lenders) who have a business reason for accessing it. Please be aware that whenever you voluntarily post public information to this site or any other Public Forum or social media site, that information can be accessed by the public and can in turn be used by those people to send you unsolicited materials and/or messages. Please use caution when disclosing personal information on our site. Our web site contains links to and from other web sites and may be in the form of display advertising. We cannot guarantee that web sites other than DreamWellHomes.com will respect and protect your Personal Information in the same manner that we do. We urge you to go to and read the Privacy Statements of other web sites when you visit them for your own protection. 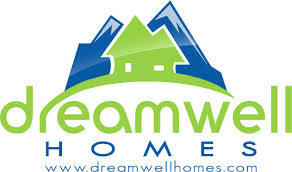 We also are not responsible for the content of web sites other than DreamWellHomes.com. We also do not recommend any products or services that are shown on display advertisement texts, images, or banners links from our website.